Liczba stron: 1844 Jest to ujednolicona liczba stron, która ułatwi Ci porównanie długości książek. Każda strona Legimi to 200 słów. 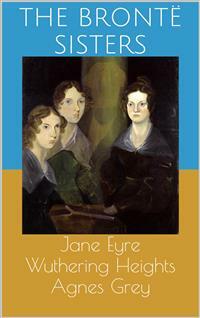 "Jane Eyre" (originally published as "Jane Eyre: An Autobiography") is a novel by English writer Charlotte Brontë. It was published on 16 October 1847, by Smith, Elder & Co. of London, England, under the pen name "Currer Bell." The first American edition was published the following year by Harper & Brothers of New York. Primarily of the "Bildungsroman" genre, "Jane Eyre" follows the emotions and experiences of its eponymous heroine, including her growth to adulthood and her love for Mr. Rochester, the Byronic master of fictitious Thornfield Hall. In its internalisation of the action—the focus is on the gradual unfolding of Jane's moral and spiritual sensibility, and all the events are coloured by a heightened intensity that was previously the domain of poetry—"Jane Eyre" revolutionised the art of fiction. Charlotte Brontë has been called the 'first historian of the private consciousness' and the literary ancestor of writers like Joyce and Proust. The novel contains elements of social criticism, with a strong sense of morality at its core, but is nonetheless a novel many consider ahead of its time given the individualistic character of Jane and the novel's exploration of classism, sexuality, religion, and proto-feminism. "Wuthering Heights" is Emily Brontë's only novel. Written between October 1845 and June 1846, "Wuthering Heights" was published in 1847 under the pseudonym "Ellis Bell"; Brontë died the following year, aged 30. "Wuthering Heights" and Anne Brontë's "Agnes Grey" were accepted by publisher Thomas Newby before the success of their sister Charlotte's novel, "Jane Eyre". After Emily's death, Charlotte edited the manuscript of "Wuthering Heights", and arranged for the edited version to be published as a posthumous second edition in 1850. "Agnes Grey" is the debut novel of English author Anne Brontë (writing under the pen name of Acton Bell), first published in December 1847, and republished in a second edition in 1850. The novel follows Agnes Grey, a governess, as she works within families of the English gentry. Scholarship and comments by Anne's sister Charlotte Brontë suggest the novel is largely based on Anne Brontë's own experiences as a governess for five years. Like her sister Charlotte's novel "Jane Eyre", it addresses what the precarious position of governess entailed and how it affected a young woman. The choice of central character allows Anne to deal with issues of oppression and abuse of women and governesses, isolation and ideas of empathy. An additional theme is the fair treatment of animals. "Agnes Grey" also mimics some of the stylistic approaches of bildungsromans, employing ideas of personal growth and coming to age, but representing a character who in fact does not gain in virtue. Chapter 2. First Lessons in the Art of Instruction. Chapter 3. A Few More Lessons. Chapter 6. The Parsonage Again. Chapter 8. The "Coming Out." Chapter 18. Mirth and Mourning. Therewas no possibility of taking a walk that day. We had been wandering, indeed, in the leafless shrubbery an hour in the morning; but since dinner (Mrs. Reed, when there was no company, dined early) the cold winter wind had brought with it clouds so sombre, and a rain so penetrating, that further outdoor exercise was now out of the question. "Where the Northern Ocean, in vast whirls,Boils round the naked, melancholy islesOf farthest Thule; and the Atlantic surgePours in among the stormy Hebrides." Each picture told a story; mysterious often to my undeveloped understanding and imperfect feelings, yet ever profoundly interesting: as interesting as the tales Bessie sometimes narrated on winter evenings, when she chanced to be in goodhumour; and when, having brought her ironing-table to the nursery-hearth, she allowed us to sit about it, and while she got up Mrs. Reed's lace frills, and crimped her night-cap borders, fed our eager attention with passages of love and adventure taken from old fairy tales and other ballads; or (as at a later period I discovered) from the pages of Pamela, and Henry, Earl of Moreland. John had not much affection for his mother and sisters, and an antipathy to me. He bullied and punished me; not two or three times in the week, nor once or twice in the day, but continually: every nerve I had feared him, and every morsel of flesh in my bones shrank when he came near. There were moments when I was bewildered by the terror he inspired, because I had no appeal whatever against either his menaces or his inflictions; the servants did not like to offend their young master by taking my part against him, and Mrs. Reed was blind and deaf on the subject: she never saw him strike or heard him abuse me,though he did both now and then in her very presence; more frequently, however, behind her back. "You have no business to take our books; you are a dependent, mama says; you have no money; your father left you none; you ought to beg, and not to live here with gentlemen's children like us, and eat the same meals we do, and wear clothes at our mama's expense. Now, I'll teach you to rummage my bookshelves: for theyaremine; all the house belongs to me, or will do in a few years. Go and stand by the door, out of the way of the mirror and the windows." I resistedall the way; a new thing for me, and a circumstance which greatly strengthened the bad opinion Bessie and Miss Abbot were disposed to entertain of me. The fact is, I was a little trifle beside myself; or ratheroutof myself, as the French would say: I was conscious that a moment's mutiny had already rendered me liable to strange penalties, and, like any other rebel slave, I felt resolved, in my desperation, to go all lengths. All John Reed's violent tyrannies, all his sisters' proud indifference, all his mother's aversion, all the servants' partiality, turned up in my disturbed mind like a dark deposit in a turbid well. Why was I always suffering, always browbeaten, always accused, for ever condemned? Why could I never please? Why was it useless to try to win any one's favour? Eliza, who was headstrong and selfish, was respected. Georgiana, who had a spoiled temper, a very acrid spite, a captious and insolent carriage, was universally indulged. Her beauty, her pink cheeks and golden curls, seemed to give delight to all who looked at her, and to purchase indemnity for every fault. John no one thwarted, much less punished; though he twisted thenecks of the pigeons, killed the little pea-chicks, set the dogs at the sheep, stripped the hothouse vines of their fruit, and broke the buds off the choicest plants in the conservatory; he called his mother "old girl," too; sometimes reviled her for her dark skin, similar to his own; bluntly disregarded her wishes; not unfrequently tore and spoiled her silk attire; and he was still "her own darling." I dared commit no fault: I strove to fulfil every duty; and I was termed naughty and tiresome, sullen and sneaking, from morning to noon, and from noon to night. What a consternation of soul was mine that dreary afternoon! How all my brain was in tumult, and all my heart in insurrection! Yet in what darkness, what dense ignorance, was the mental battle fought! I could not answer the ceaseless inward question—whyI thus suffered; now, at the distance of—I will not say how many years, I see it clearly. Daylight began to forsake the red-room; it was past four o'clock, and the beclouded afternoon was tending to drear twilight. I heard the rain still beating continuously on the staircase window, and the wind howling in the grove behind the hall; I grew by degrees cold as a stone, and then my courage sank. My habitual mood of humiliation, self-doubt, forlorn depression, fell damp on the embers of my decaying fire. All said I was wicked, and perhaps I might be so: what thought had I been but just conceiving of starving myself todeath? That certainly was a crime: and was I fit to die? Or was the vault under the chancel of Gateshead Church an inviting bourne? In such vault I had been told did Mr. Reed lie buried; and led by this thought to recall his idea, I dwelt on it with gathering dread. I could not remember him; but I knew that he was my own uncle—my mother's brother—that he had taken me when a parentless infant to his house; and that in his last moments he had required a promise of Mrs. Reed that she would rear and maintain me as one of her own children. Mrs. Reed probably considered she had kept this promise; and so she had, I dare say, as well as her nature would permit her; but how could she really like an interloper not of her race, and unconnected with her, after her husband's death, by any tie? It must have been most irksome to find herself bound by a hard-wrung pledge to stand in the stead of a parent to a strange child she could not love, and to see an uncongenial alien permanently intruded on her own family group. Thenext thing I remember is, waking up with a feeling as if I had had a frightful nightmare, and seeing before me a terrible red glare, crossed with thick black bars. I heard voices, too, speaking with a hollow sound, and as if muffled by a rush of wind or water: agitation, uncertainty, and an all-predominating sense of terror confused my faculties. Ere long, I became aware that some one was handling me; lifting me up and supportingme in a sitting posture, and that more tenderly than I had ever been raised or upheld before. I rested my head against a pillow or an arm, and felt easy. Bessie had been down into the kitchen, and she brought up with her a tart on a certain brightly painted china plate, whose bird of paradise, nestling in a wreath of convolvuli and rosebuds, had been wont to stir in me a most enthusiastic sense of admiration; and which plate I had often petitioned to be allowed to take in my hand in order to examine it more closely, but had always hitherto been deemed unworthy of such a privilege. This precious vessel was now placed on my knee, and I was cordially invited to eat the circlet of delicate pastry upon it. Vain favour! coming like most other favours long deferred and often wished for, too late! I could not eat the tart; and the plumage of the bird, the tints of the flowers, seemed strangely faded! I put both plate and tart away. Bessie asked if I would have a book: the wordbookacted as a transient stimulus, and I begged her to fetchGulliver's Travelsfrom the library. This book I had again and again perused with delight. I considered it a narrative of facts, and discovered in it a vein of interest deeper than what I found in fairy tales; for as to the elves, having sought them in vain among foxglove leaves and bells, under mushrooms andbeneath the ground-ivy mantling old wall-nooks, I had at length made up my mind to the sad truth, that they were all gone out of England to some savage country where the woods were wilder and thicker, and the population more scant; whereas, Lilliput and Brobdingnag being, in my creed, solid parts of the earth's surface, I doubted not that I might one day, by taking a long voyage, see with my own eyes the little fields, houses, and trees, the diminutive people, the tiny cows, sheep, and birds of the one realm; and the cornfields forest-high, the mighty mastiffs, the monster cats, the tower-like men and women, of the other. Yet, when this cherished volume was now placed in my hand—when I turned over its leaves, and sought in its marvellous pictures the charm I had, till now, never failed to find—all was eerie and dreary; the giants were gaunt goblins, the pigmies malevolent and fearful imps, Gulliver a most desolate wanderer in most dread and dangerous regions. I closed the book, which I dared no longer peruse, and put it on the table beside the untasted tart. "In the days when we went gipsying,A long time ago." "My feet they are sore, and my limbs they are weary;Long is the way, and the mountains are wild;Soon will the twilight close moonless and drearyOver the path of the poor orphan child. Why did they send me so far and so lonely,Up where the moors spread and grey rocks are piled?Men are hard-hearted, and kind angels onlyWatch o'er the steps of a poor orphan child. Yet distant and soft the night breeze is blowing,Clouds there are none, and clear stars beam mild,God, in His mercy, protection is showing,Comfort and hope to the poor orphan child. Ev'n should I fall o'er the broken bridge passing,Or stray in the marshes, by false lights beguiled,Still will my Father, with promise and blessing,Take to His bosom the poor orphan child. "There is a thought that for strength should avail me;Though both of shelter and kindred despoiled;Heaven is a home, and a rest will not fail me;God is a friend to the poor orphan child." I reflected. Poverty looks grim to grown people; still more so to children: they have not much idea of industrious, working, respectable poverty; they think of the word only as connected with ragged clothes, scanty food, fireless grates, rude manners,and debasing vices: poverty for me was synonymous with degradation. Bessie invited him to walk into the breakfast-room, and led the way out. In the interview which followed between him and Mrs. Reed, I presume, from after-occurrences, that the apothecary ventured to recommend my being sent to school; and the recommendation was no doubt readily enough adopted; for as Abbot said, in discussing the subject with Bessie when both sat sewing in the nursery one night, after I was in bed, and, as they thought,asleep, "Missis was, she dared say, glad enough to get rid of such a tiresome, ill-conditioned child, who always looked as if she were watching everybody, and scheming plots underhand." Abbot, I think, gave me credit for being a sort of infantine Guy Fawkes.